1. It is the root of English, and other Romance languages. About 10 percent of the Latin vocabulary has found its way directly into English. You may recognise many Latin words and phrases that are in English usage already, such as carpe diem ("seize the day") or ad infinitum ("going on to infinity"), and studying Latin will help you familiarise yourself with, and eventually master, many others. One day you may even be moved to murmur amor vincit omnia. Over 60 percent of all English words have Greek or Latin roots, which have often passed through French before reaching English. In the vocabulary of the sciences and technology, the figure rises to over 90 percent. 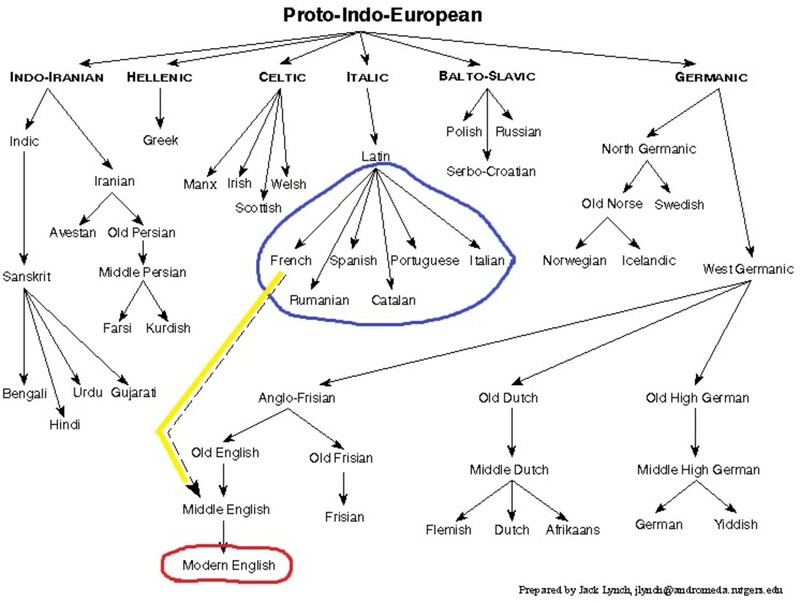 For a map detailing exactly how Latin is linked to Modern English, check out this funky tree here. 2. It teaches you about the structure and rules of Language itself. It is exactly because Latin is a dead language (and so has ceased to evolve) that it is so good for learning about language in general. Because it is taught to be read, not spoken, because it is taught entirely through its grammatical rules not through its demotic use, as you learn it you gain an understanding of the mechanics and structure of language streets ahead of any you will gain from the study of a modern tongue. 3. It is one of the most educationally exacting subjects. Latin encourages and rewards precision; it is sometimes referred to as the “Mathematics of the Humanities”. Its rules are so ordered that the first few years of study encourage, like Maths, a keen appreciation of right vs. wrong. Mastery of such a rigorous subject is therefore not only hugely satisfying, it also imparts the vital lessons of diligence and self-discipline. As famous Latin author Neville Gwynne says, "Latin just cannot be guessed, and that is why it is the quintessence of education." 4. It is the summit of Western education. For all the above reasons, Latin (with its confrere Ancient Greek) was considered one of the only subjects fit for study up until the 20th Century. At Harrow School before the 1830s, boys learned only Latin, Greek and Archery! Learning Latin is great training in itself, but it leads quite quickly to reading some of the great Classical literature that has held readers rapt through the centuries. Virtually every major literary genre – history, philosophy, oratory, love poetry, epic, satire, comedy, tragedy – was developed in the classical world. To have read the story of Daedalus and Icarus in Latin (in Ovid’s Metamorphoses) and then see how it is referenced through thousands of years of Western culture, from Chaucer to Marlowe to Shakespeare to Milton to Joyce to Auden to the paintings of Brueghel, is to feel truly connected to the current of Western history. It is a current from whose waters Barack Obama, in his appreciation of Ciceronian oratory, has drunk deep; it is a current from which Mark Zuckerberg quoted (from Virgil’s Aeneid) in one of his Facebook product launches. If it is worthwhile enough for them, wise guy, might it be worthwhile enough for you?